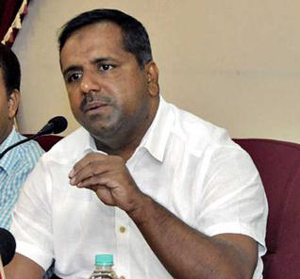 Mangaluru, April 3, 2015 : Speaking to media Minister for Health and Family Welfare U T Khader stated, two integrated Ayush hospitals have been sanctioned for the state during the budget session held recently. The work towards 50 bed in-patient unit is set to start soon and increase in the number of beds has been recommended . While Wenlock hospital will have one facility to enable patients to chose from Ayurveda, Yoga, Unani, Siddha, and Homeopathy. Gadag is the other district to get the facility. The minister went on t say that correspondences is on with KPSC regarding recruitment of staff in the department and the vacant posts will be filled in the next few months. Presently, the district Ayush hospital located at Hat Hill here has an outpatient unit. An inpatient unit of 25 beds, with 15 beds for Ayurveda and 10 for homeopathy, was sanctioned in 2001. Due to inadequate staff and space the inpatient unit is not working. A Unani and Naturopathy outpatient department is being run in district Wenlock Hospital, under the Central Sponsored Scheme. Department of Health and Family Welfare Special Ayush Officer Dr Muhammed Iqbal said that a land has been identified at Wenlock hospital premises for the Ayush in-patient unit. District Ayush hospital Ayurveda specialist Dr Devdas said if the in-patient unit is started at the district hospital, it will be helpful for the patients. Also, laboratory and other testing facilities will be available at the same place. As the district Wenlock hospital is located in the city, there will be access to transport facilities. At present, Patients visit Ayush hospital from places like Bantwal, Puttur and Belthangady. Plans are a foot to speed up matters in this regard it is informed.